Through music, students tap into the art as a powerful vehicle for expression. Upper School students perform in Jazz Band, the Rock, Pop & Blues Band, the Chorus, and the Strings Ensemble. 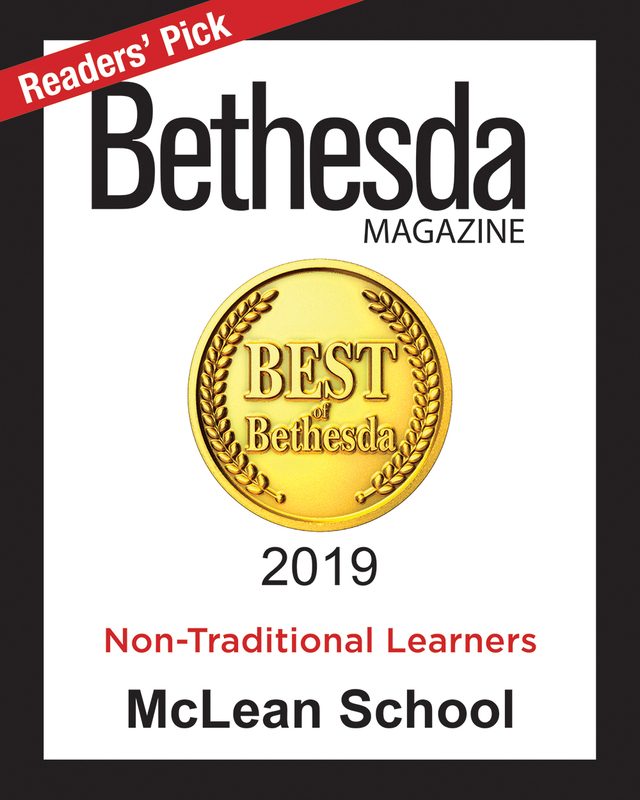 McLean musicians perform at Winter and Spring Concerts, assemblies, sporting events, open houses, and the annual spring musical, as well as at local venues and festivals. Our spring musicals attract the entire McLean community and showcase students in such gems as, Oklahoma, The Pirates of Penzance, The Boyfriend, Grease, Guys & Dolls, Big River and Annie. Every fall, students elicit laughter by presenting a comedy. Our students’ appreciation for the arts will enhance the rest of their lives. Watch some of our performances below or visit our YouTube page to see an arcivie of pervious years performances.